Radiologic Technician Jobs - Maintains and uses equipment and supplies necessary to demonstrate portions of the body on X-ray film or fluoroscopic screen for diagnostic purposes. Radiologic Technician career is part of the Health Science cluster Diagnostic Services. Positions x-ray equipment and adjusts controls to set exposure factors, such as time and distance. Uses beam-restrictive devices and patient-shielding techniques to minimize radiation exposure to patient and staff. Positions patient on examining table and sets up and adjusts equipment to obtain optimum view of specific body area as requested by physician. Processes exposed radiographs using film processors or computer generated methods. Explains procedures to patients to reduce anxieties and obtain cooperation. Determines patients' x-ray needs by reading requests or instructions from physicians. Makes exposures necessary for the requested procedures, rejecting and repeating work that does not meet established standards. Prepares and sets up x-ray room for patient. Operates digital picture archiving communications systems. Transports patients to or from exam rooms. EEG Technician (Electroencephalographic Technician) - Maintains and sometimes services this medical equipment and administers the EEG test, which involves placing electrodes on the patient's scalp and generating the stimulus needed to capture and measure the activity of the patient's brain or nervous system. Magnetic Resonance Imaging Technician (MRI Technician) - Performs scans using radiofrequencies within a magnetic field to produce images of bones, organs, and soft tissue. Mammography Technician - Provides caring, supportive diagnostic services for women who have routine mammograms and for those who have been diagnosed with breast cancer. Nuclear Medicine Technician - Prepares radioactive materials, administers them to patients and uses imaging devices to record the distribution within a patient's body. X-ray Technologist - Performs diagnostic imaging exams, processes radiographic film, and provides radiation therapy. Here's a list of skills used in Radiologic Technician career that are also used in other careers. Workplace skills are practiced activities that help people become successful in all kinds of careers. Here's a list of the workplace skills that are used in Radiologic Technician career. 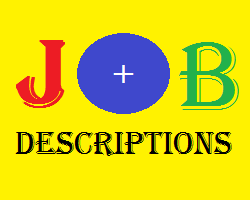 Belum ada Komentar untuk "Jobs Description of Radiologic Technician"